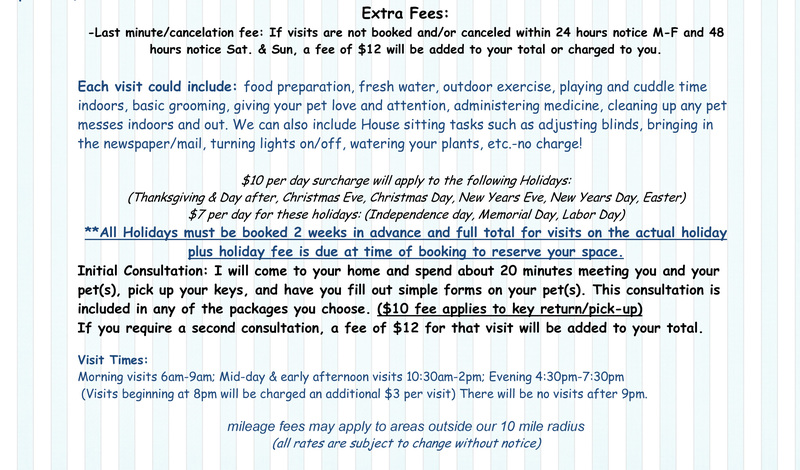 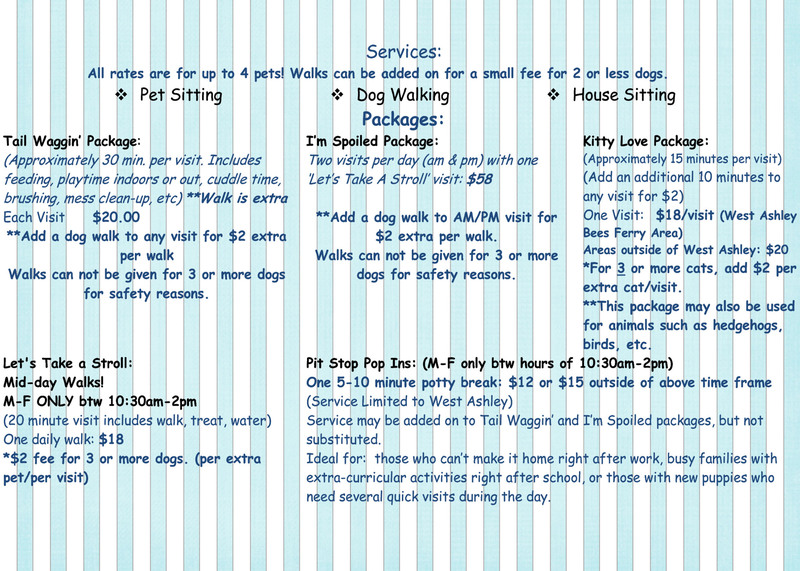 A Tail Waggin’ Good Time offers in your home pet sitting. 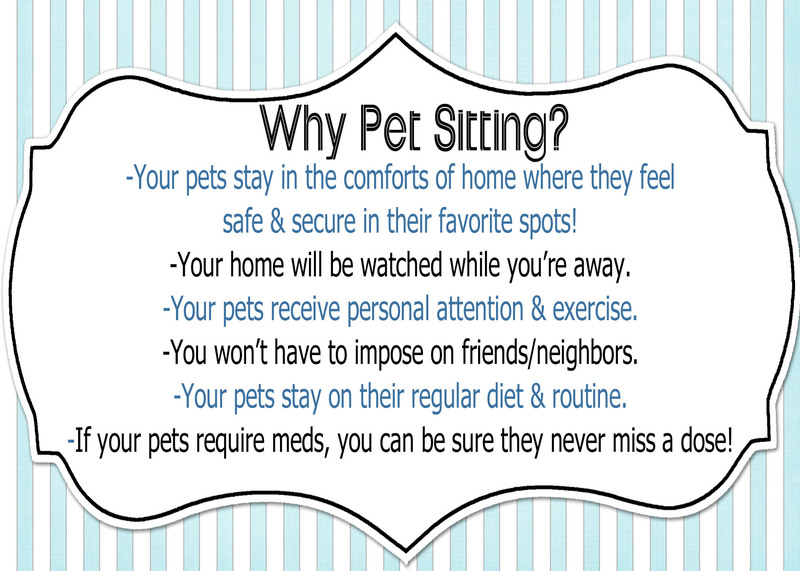 Pet Sitting is a great alternative to boarding in a kennel! 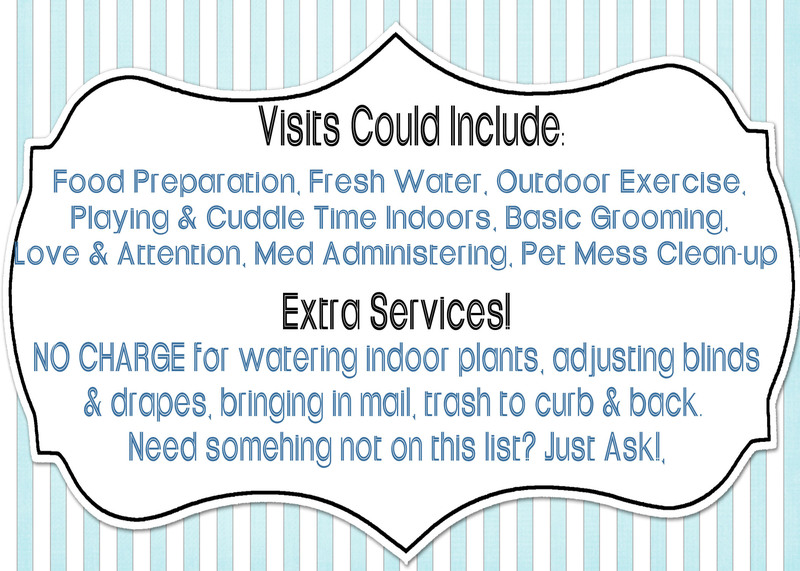 Click the photo below to enlarge! 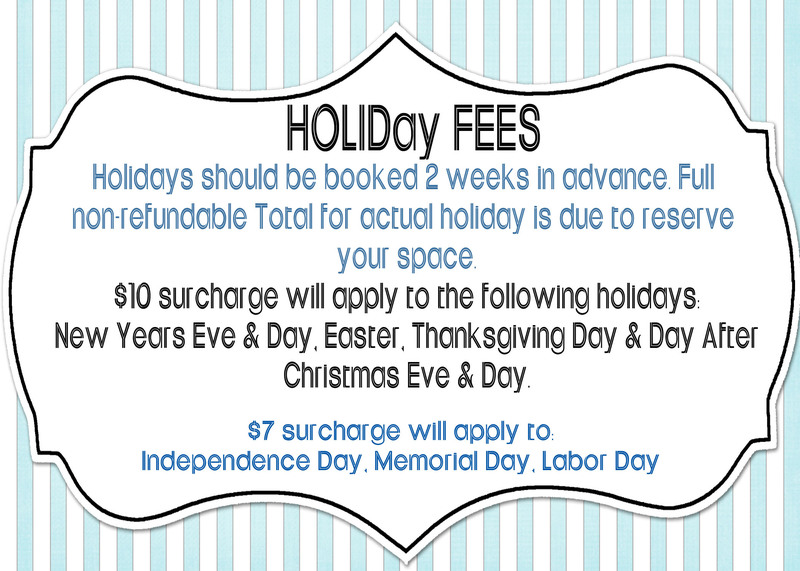 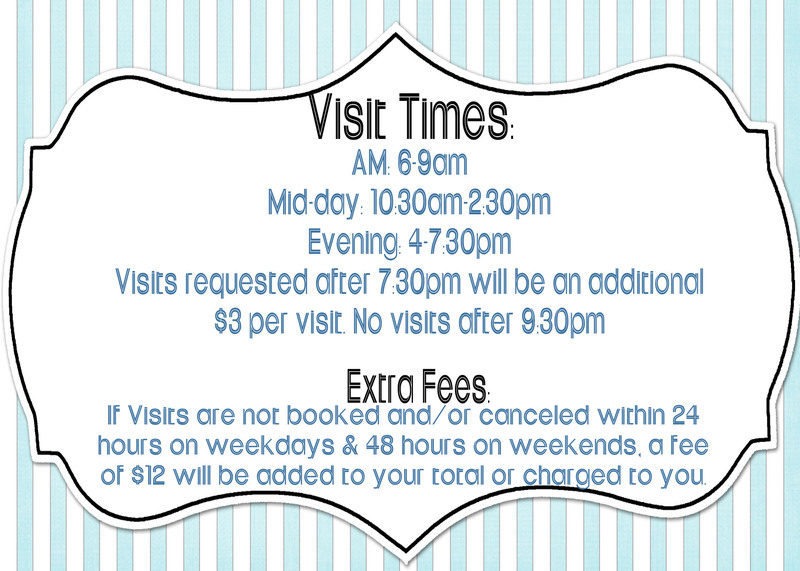 To view a blog post about my rates, CLICK HERE!